Hi fam! We’re intimately inviting you into our home today to share what’s good in our life. With Easter near, we felt compelled to do this episode candidly talking about our faith and what it means to us. We’re reading some of our listeners direct messages that inspired us to lead you all in a special prayer for anyone out there who needs saving. Sazan also shares shares her powerful testimony and how the good life podcast is changing lives. It’s about to get GOOD! This episode of the Good Life is sponsored by Harper Wilde & TrueCar! Go to HarperWilde.com/GOODLIFE to try three bras at home FREE and receive a free gift! On today’s episode of TGL Sazan has a very heartfelt word she wants to share directly with all of you Fam. Also, on the show we have Brian Johnson, leader of Bethel Worship Group, to share about his life long battle with anxiety and panic attacks and the meaning behind his new book “When God Becomes Real.” We hope you’ll share this episode with someone who needs to hear this message. If you’re going through a similar battle as Brian we want you to know Fam, you’re not alone! Tune in, it’s about to get GOOD. THERE IS AN INNATE YEARNING IN ALL OF US FOR PEACE. WHAT IS PEACE? WHERE DID THIS YEARNING COME FROM? GOD DESIGNED US TO KNOW HIS PEACE AND HOW TO ACCESS IT AT ALL TIMES. THE BIBLE SAYS THAT HE GIVES US A PEACE THAT SURPASSES ALL UNDERSTANDING, BUT WITH A CRAZY BUSY WORLD, A LONG LIST OF GOALS, AND LIFE’S CONSTANT UPS AND DOWNS HOW DO WE LIVE IN PEACE? TODAY WE HAVE THE HONOR OF INTERVIEWING OUR FIRST PASTOR IN LA ERWIN MCMANUS ABOUT HIS NEW BOOK “THE WAY OF THE WARRIOR” THE ANCIENT PATH TO INNER PEACE. HE IS GOING TO GIVE US SOME KEYS ON HOW TO FIND PEACE IN A WORLD OF WAR. KEEP YOUR EARS DIALED IN - ITS ABOUT TO GET GOOD! THIS EPISODE OF THE GOOD LIFE IS SPONSORED BY VINCERO WATCHES, LACROIX, & TRUE CAR! WHAT’S UP FAM. TODAY WE’RE TAKING OUR HANDS OFF THE WHEEL AND LETTING YOU STEER THE SHOW! WE’RE GOING IN TO THE TGL INBOX TO ANSWER YOUR QUESTIONS ABOUT LIFE, RELATIONSHIPS, CAREER, AND REALLY EVERYTHING - WE’RE GOING TO BE COMPLETELY CANDID! IT’S ALWAYS OUR MISSION TO KEEP AN OPEN LINE OF COMMUNICATION WITH YOU AND THE GOOD LIFE EMAIL IS THE BEST PLACE TO SEND IN YOUR QUESTIONS. IF YOU WANT TO ASK SAZAN AND I A QUESTION TO HAVE IT ANSWERED ON THE SHOW SEND IT IN TO THEGOODLIFE@SAZAN.ME ! BEFORE THE SHOW STARTS FAM IF YOU HAVEN’T ALREADY - PLEASE LEAVE US A RATING AND REVIEW IN THE PODCAST APP! ALRIGHT FAM, STICK AROUND ITS ABOUT TO GET GOOD! THIS EPISODE OF THE GOOD LIFE IS SPONSORED BY WANDER BEAUTY, MIRACLE SUIT, HARPER WILDE, HOURGLASS COSMETICS, & BIOOPTIMZER! 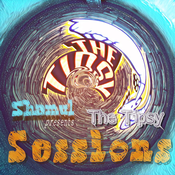 Lyt til The Good Life, Tipsy Sessions og mange andre stationer fra hele verden med app'en radio.dk.